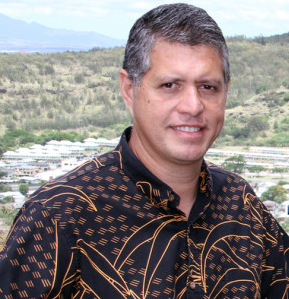 Sam Aiona is the former executive director of the state Office of Community Services, former board member of the Hawaii Public Housing Authority, and current board vice chairman for HOPE Services Homeless Program. BY SAM AIONA – Kakaako, where the 801 South St. project is located, must, by law, supply affordable housing — which, by law, means housing for “low- or moderate-income” households. According to the federal Department of Housing and Urban Development (HUD), “moderate-income” housing is for households making 80 percent or below the area household median income (AMI), and “low-income” housing is for households making 60 percent or below the AMI. In Honolulu for a household of three — the median-sized household — those median income levels are currently $70,500 (moderate) and $52,920 (low). Allan Lock — a retired Hawaiian Dredging Co. executive and now construction management consultant to developers — talks about 801 South St., a project by his former company, as if it is “workforce housing,” in a Nov. 17 Star-Advertiser article, apparently without realizing that there is a standard definition for workforce housing. “Workforce housing” is housing for “essential workers,” people who make the Honolulu economy go: high school and elementary schoolteachers, police officers, nurses, retail salesworkers, janitors, construc- tion laborers, electricians, secretaries, nursing aides, firefighters, and, in resort areas such as Waikiki-Kakaako, food prep workers, housekeepers, receptionists and wait staff. On average, “essential workers” make $33,000 (construction worker), $60,000 (schoolteacher), or $24,000 (housekeeper). The average household salary, in fact, for high school and elementary schoolteachers, police officers, nurses, janitors, construction laborers, electricians, secretaries, nursing aides, food prep workers, housekeepers, receptionists and wait staff is only $47,000. Such a household would qualify for “low-income” housing, and at the higher end, “moderate-income” housing. Yet, at 801 South St. — the so-called “workforce housing” project — the minimum qualifying annual income level for a tiny unit is above $86,000. Kakaako resident Ariel Salinas’ analysis describes these figures at here. The “destroy-the-Honolulu Advertiser-building project” meets none of the conditions for affordable or workforce housing. The pro-ject claims to offer 75 per- cent of its units affordable to households making $118,400 — well beyond any truly affordable household income (three-fourths of Honolulu households make under $100,000 a year). Yet we find that with honest calculations — a currently quoted mortgage interest rate of 5.5 percent, insurance, maintenance and parking fees — even a higher-income worker making $118,000 a year can’t afford the units costing more than $450,000. “Essential workers,” on average, need units costing $200,000 or less. The 801 South St.’s 270 “affordable” two-bedroom units run from $451,000 to $555,800, and even more with the true cost of ownership added in. But perhaps the biggest problem with Lock’s “affordable housing” shibai is that buyers of these units can “flip” them almost immediately, cashing in for being first in line, and, in the process, making any possible “essential worker” housing disappear. The developer is building a market-priced housing project, but disguising it as “affordable” to obtain the generous benefits from the state — most importantly, getting variances that double the project’s maximum density. We need development, but we need affordable housing within these developments. How do we build truly affordable housing when the concept is twisted beyond all recognition by wily developers and their friends in state government? What’s happening in Kakaako can happen in other communities throughout the state, given the grave need for affordable housing. central planning for so called low/moderate income housing?this kind of intervention and interference by government into a housing market actually does a lot of damage.let the market determine where the low/moderate income person will live.keep socialism out of the housing industry. central planning for low/moderate income affordable housing? shouldn't have government intervention and interference by government in home construction etc.it does a lot of damage.Let the market decide where low/moderate income workers will live.keep socialism out of housing industry. Crooks building highrises, ignoring the laws should go to…h….